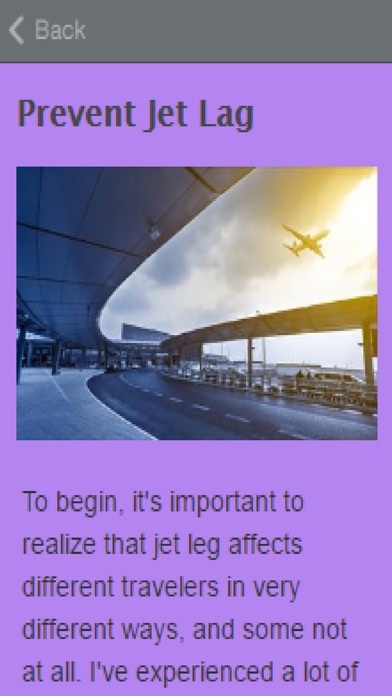 How To Get Rid Of Jet Lag is an app that includes some helfpul information on how to get rid of jet lag. 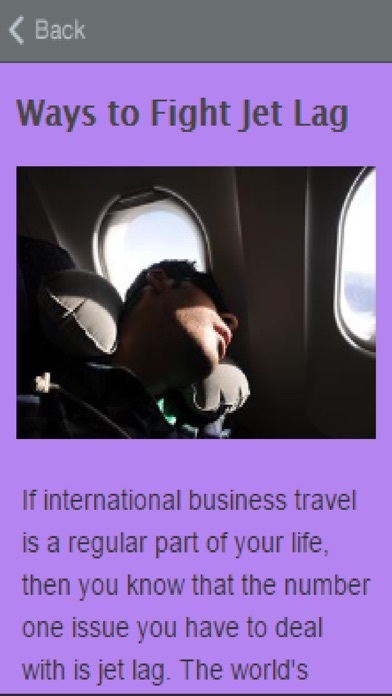 How To Get Rid Of Jet Lag Includes: Jet Lag Dealing Jet Lag Prevent Jet Lag Jet Lag 101 Jet Lag Bath Remedy Ways to Fight Jet Lag And much more! So what are you waiting for!? Download The "How To Get Rid Of Jet Lag" App now And Learn How To Get Rid Of Jet Lag Today!